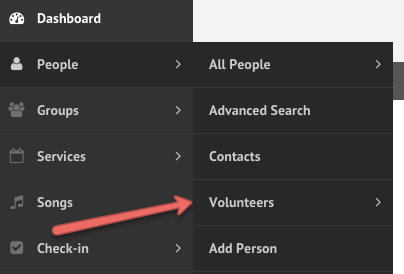 To view a list of Volunteers, navigate to People > Volunteers. This will bring up a list of people who are marked as a Volunteer and show what positions they have been assigned. From here you can send login details or using the same button, have a username set for those that have not yet been assigned one. 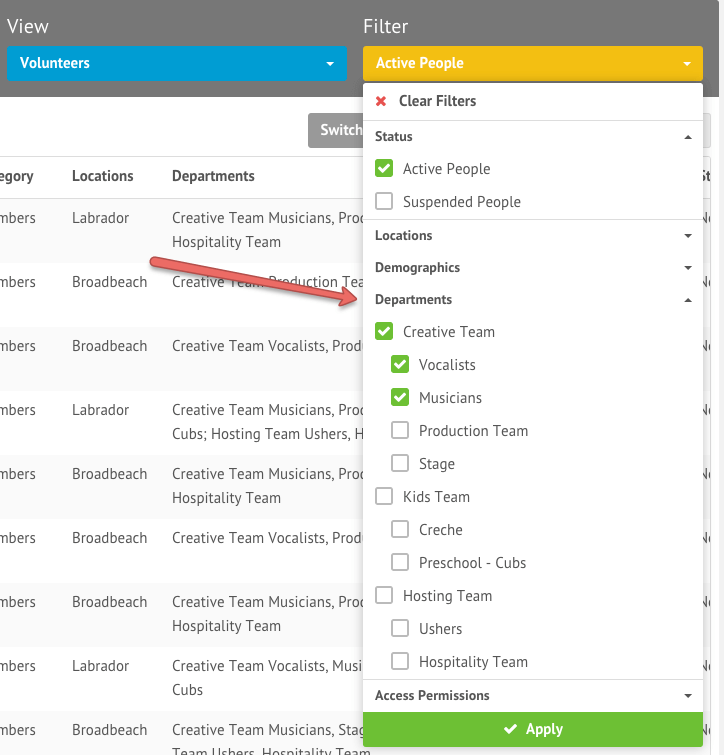 To view volunteers in specific positions, simply filter by Departments and click ‘Apply’ to update the list of volunteers.